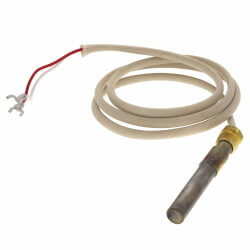 A thermocouple senses temperature at a pilot burner. 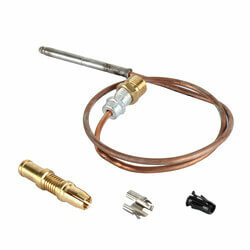 The thermocouple determines if the main flame is hot and safe enough to ignite natural gas or propane to the burner. 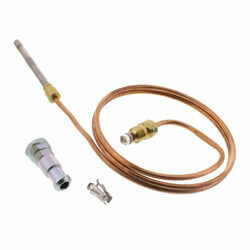 A thermocouple consists of two different metals joined together at one end. 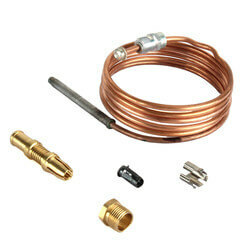 This unique bond of metals produces a small voltage at a given temperature. 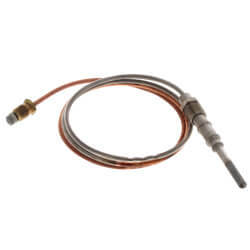 Honeywell, the leading manufacturer in thermocouples, produces a standard thermocouple as well as a thermocouple with maximum copel. 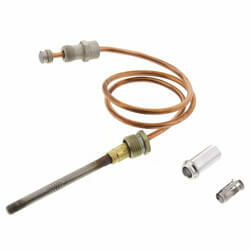 Copel is an alloy of copper and nickel. 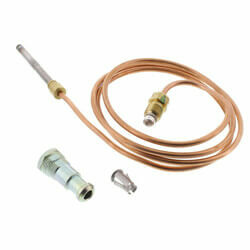 A thermocouple with a higher amount of copel will have a longer life span than a standard thermocouple. 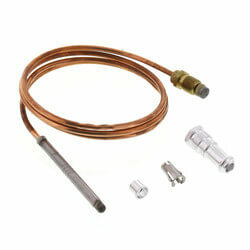 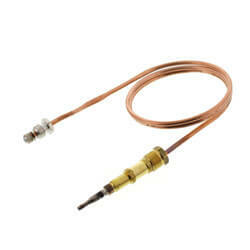 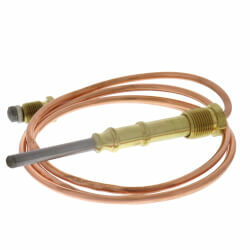 Honeywell thermocouples are available in lengths of 18", 24", 30", 36", and 48". 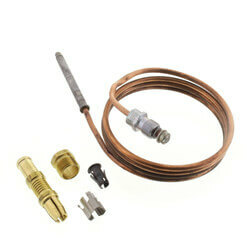 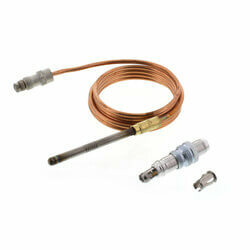 Robertshaw is known for its Uni-Couple thermocouple Series. 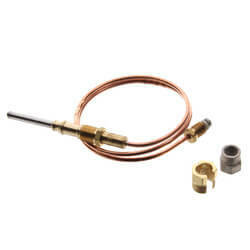 The unique design of the Uni-Couple allows for installation to almost all pilot burners. 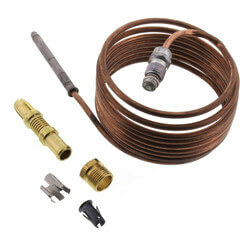 The design includes a stainless steel tip which provides longer life, copper tubing for corrosion protection and low electrical resistance, and an extended cold junction for greater voltage output. 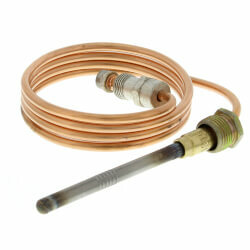 Uni-Couples are available in lengths of 18", 24", 30", 36", 48", 60" and 72" making them an extremely versatile option. 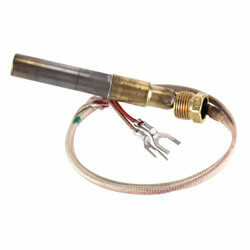 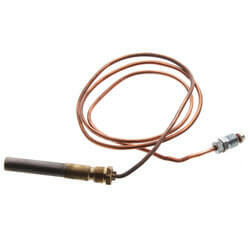 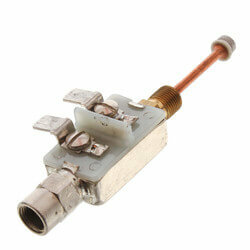 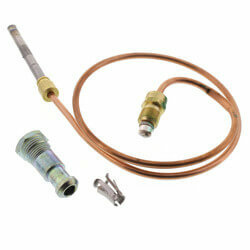 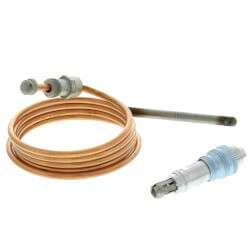 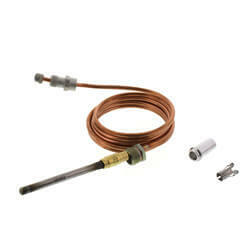 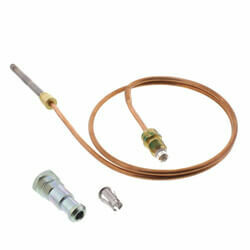 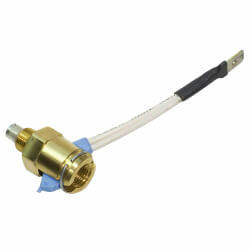 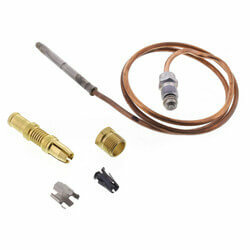 The Snap-Fit Thermocouple is an additional series of thermocouples by Robertshaw. 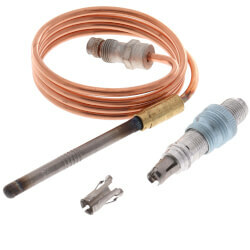 Thermocouples in this series don't need complicated adapters to adapt to most pilot burners, making installation simple. 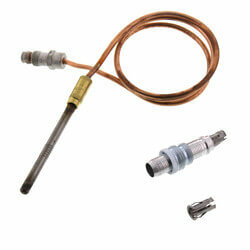 Snap-Fit Thermocouples are available in lengths of 12", 18", 24", 30", 36", 48", 60" and 72". 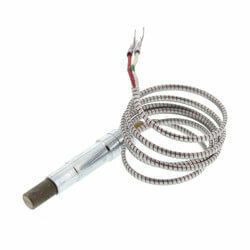 A thermopile generator consists of multiple thermocouples linked in a series to increase millivoltage output. 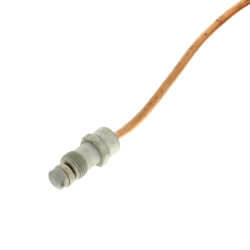 Sufficient power is generated and can operate an automatic millivolt gas control system, independent from any exterior power source. 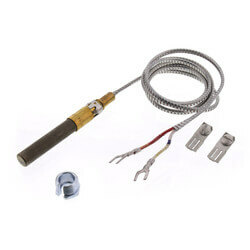 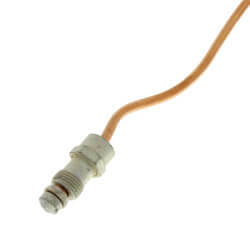 Thermopile generators are available in a variety of lead lengths and connection types, making them cost effective and resourceful.